Texas Tech Law Library has study guides and treatises for all 1L and upper level law courses available in print and online. Study aids come in many different varieties and many upper level law courses available in print and online. Study aids come in many different varieties and are used for various purposes. Hornbooks are student versions of longer legal treatises and can be invaluable for a close examination of a point of law. Nutshells are a concise paperback series of books that give an excellent overview of the law in a particular subject. Other study aids, such as Lexis’ “Understanding” series or the “Examples and Explanations” series, fall somewhere in between the scholarly Hornbooks and the plain language of a Nutshell. Other study aids have additional features, such as Gilbert Law Summaries, which have detailed charts and boxes containing exam tips. The “Mastering” series features review checkpoints” at the end of each chapter and a master checklist of key points to know to assure the reader that they have studied and noted all the major topics in that area of law. The “Inside” series has many FAQ sections with short questions and answers after a chapter or two of content and a highlighted “sidebar” inset that gives interesting background and explanation of the chapter text. Finally, the “Q & A” series and the “Kaplan PMBR” series of study aids both have extensive multiple choice questions and detailed explanations of both the right and wrong answers. The Kaplan PMBR series also includes substantive course outlines and flowcharts, especially helpful for visual learners. 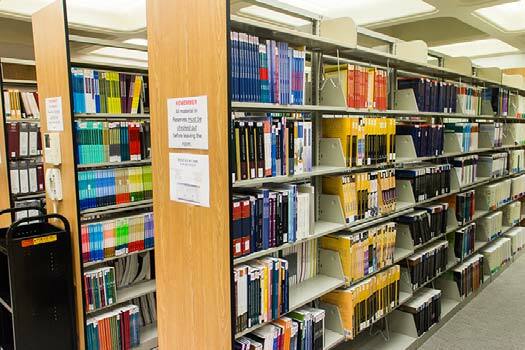 While many study aids are only available in print at the reference desk, the Law Library has subscribed to the West Academic Study Aids online collection, which can be accessed by using your Westlaw OnePass login and creating a West Study Aids account at https://subscription.westacademic.com. Also available are the popular Texas guides, O’Connors, available in print and online at http://www.oconnors.com. For more information about access, please see a librarian. For those times when you want to put the traditional study aids away, the Law Library also has Texas Law and Law in a Flash flash-cards and Gilberts and Sum+Substance audio CDs available to check out at the Library’s Circulation Desk. Get out and study today!